Size: approx. 10 mm. Photo: 06/07/15, 11 pm. 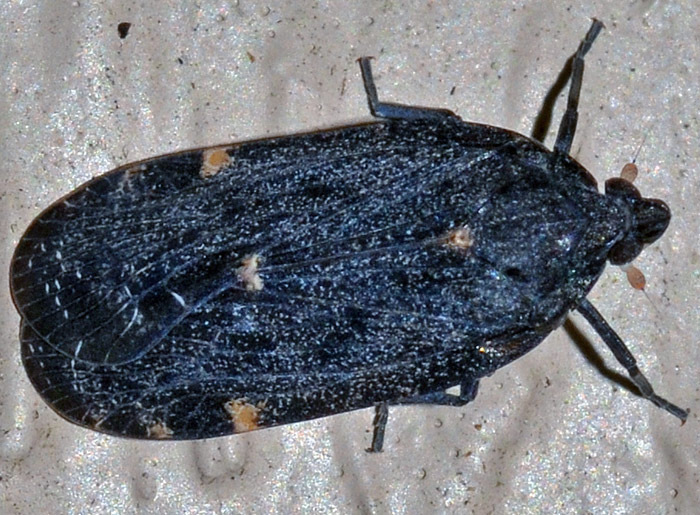 At first glance, this dark planthopper looked nearly moth-like. The genus has 14 species in North America. Nymphs and adults feed on fungi under bark.